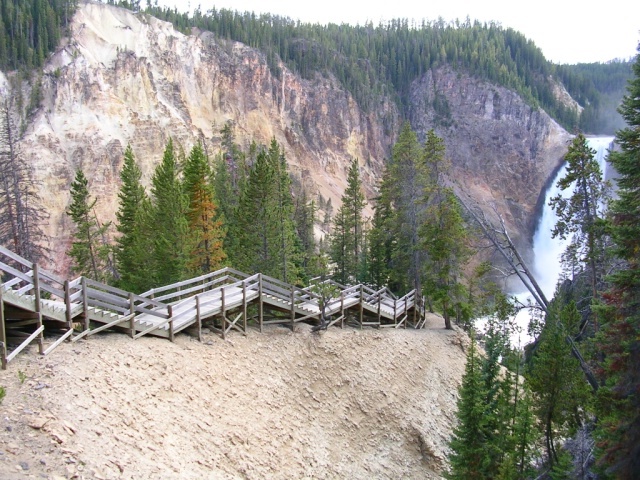 The trail down to the closest viewpoint at Lower Yellowstone Falls, Yellowstone National Park, WY, circa September 2, 2004. Yes, you then have to go back up, but you’re so amazed you don’t think about it as work anymore. At least, I didn’t.